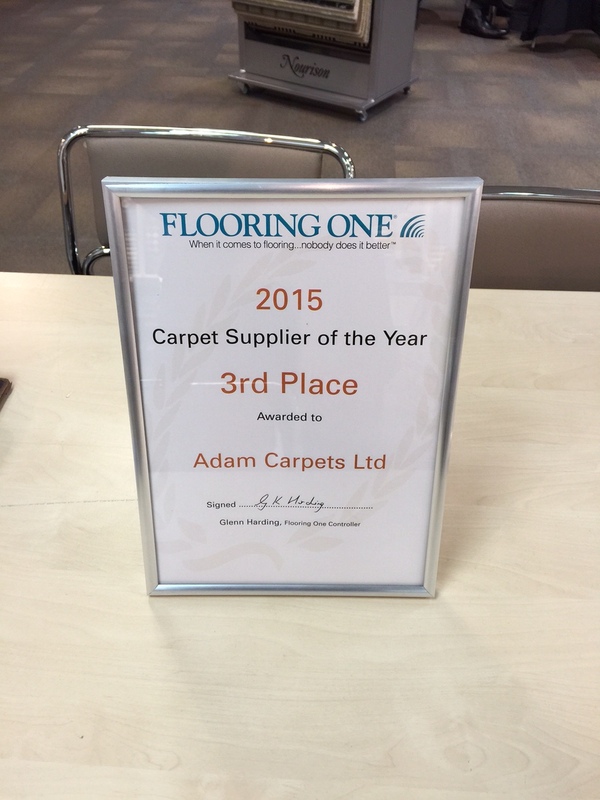 Adam Carpets were awarded 3rd place in the ‘Carpet Supplier of the Year’ category at the recent Buying Group National Floor Show held in Solihull. The award was presented by Glenn Harding of the Flooring One buying group whose members vote over a number of categories such as quality, customer service and value for money. It is the second year in a row that Adam Carpets have received the award for third place. This entry was posted in Adam Blog, Company News, In the Press by eamonn prescott. Bookmark the permalink.